In 2013 the Atlantic published an article stating some pretty dismal facts about women in the tech world. They claimed although 57% of the workforce in the US is make up of women, only 25% of the technology and computer science industries are comprised of women. Yikes! That number goes back all the way to college too. Once again, women make up 57% of undergraduate degree recipients, yet only 14% of computer science degrees were earned by women. So where does the huge gender disparity start? Is it worth spending all our time and energy on analyzing these facts, or it is better to focus on changing the status quo? The Women In Technology International Summit is most definitely focused on the latter. Since launching 21 years ago, they are hoping their 2015 summit held in San Jose May 31-June 2nd will have an even greater impact on women than ever before. We are going through a huge boom in the technology industry, and that boom is in the area of gender equality. Organizations like Girls Who Code and Black Girls Code are leading the way on engaging a generation of young girls who cannot afford to grow up thinking the STEM industries only belong to men. The theme of the 2015 WITI Summit is “Build, Empower, Inspire”. Their overall mission is to empower women worldwide to achieve unimagined possibilities and transformations through technology, leadership and economic prosperity. This year they have a stellar line up of speakers and innovators coming to share their wisdom, including actress and humanitarian Patricia Arquette, IBM’s Chief Innovation Officer Linda Bernardi, Judy Sweet who is a Title IX Consultant and who is the founder of the Alliances of Women Coaches, and keynote speaker Tiffani Bova, who is the Vice President of the Gartner Group, an IT research and advisory firm. 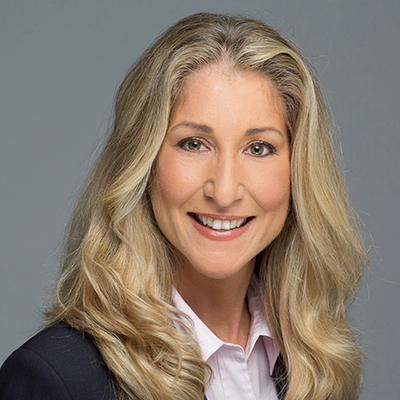 We had the chance to chat one-on-one with Tiffani, learn more about her badass rise to being a VP, and why the WITI Summit ain’t just another women in tech event, it is considered one of the premiere conferences where women get to engage and learn from the best in the industry worldwide and get a sense of what it really takes to become a leader and innovator in one of the world’s fastest growing sectors. Tiffani can you tell us a little about your background? 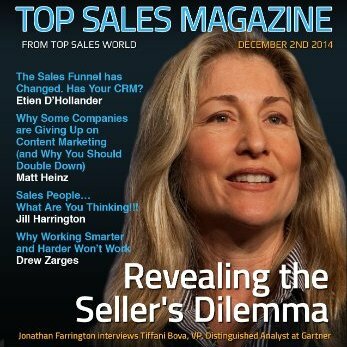 I consider myself a ‘recovering seller’ as I spent the majority of my career in sales before I came to Gartner in sales. I have been in the IT industry now for almost 20 years. In my role here at Gartner, I get the opportunity to help my clients’ everyday improve their sales and growth performance, which has allowed me in a small way to keep selling! What will you be focusing on in your keynote address at the WITI Summit? I have the wonderful opportunity to learn firsthand what Gartner predicts will be the next big thing in technology. My presentation will focus on those top trends impacting the IT industry, how companies can respond to those trends and how we all need to re-imagine the impossible in order to look to the future. The theme of “Build, Empower, Inspire” is something we are seeing a lot of in the tech world especially in regards to women. Do you think this will have an impact on the percent of women in this field? 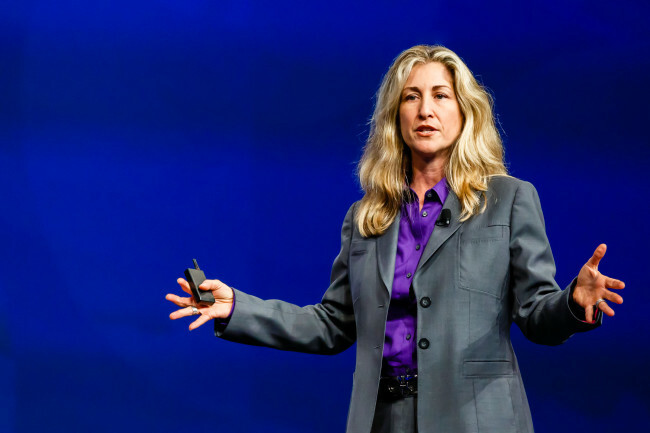 I believe women like to be inspired and challenged at work (ok, and personally…). It is important whether you are a manager or a contributor to a team that you feel valued and appreciated. Building strong teams, empowering people to do what is right for the company, themselves and the customer and inspiring others to reach beyond what they think is possible can be a powerful formula to create something special. Building a successful organization happens one person at a time –it requires having the right culture and personality to embrace new ways to engage and interact with each other. The challenge is every day to personally set the example so others can follow your lead. Many major tech brands (Google, Facebook, Pandora, Linkedin) have released diversity reports over the past year and there is an overwhelming lack of women and minorities. What solutions do you propose will change the ratio? Women want to be inspired and challenged in every aspect of their life. We want more than a paycheck. We want to wake up every day and feel what we do makes a difference and we contribute to something meaningful. Passion is a powerful motivator, and the more women and minorities become passionate about what IT can do beyond just the ‘technology’ side of it, the better chance we may have in turning around the limited numbers we see in the statistics today. It’s easy to focus on the problems, but how would you inspire women to become solution-based? By nature we tend to be more solution based, and with that comes a willingness to take more risks. We look at problem solving a bit different and the process women take may not always work in male dominated groups. We have to remember to let the process happen organically without forcing what we think, what we know and how we do things. Facilitation is a great way to empower everyone to get engaged and solve problems together. This is not a ‘them vs. us” game – if ‘we’ are not in this together it won’t get better. We live in a celebrity-obsessed culture, but women like Sheryl Sandberg, Melinda Gates & Marissa Mayer are really breaking through and becoming very mainstream. How do you think this will impact the tech world? While those are great examples, women are still so underrepresented in the upper echelons of management limiting the number of role models to follow. As you call out, many take on ‘celebrity’ status and are known less for what they do in their ‘day job’. Each of these women, plus someone like Arianna Huffington, have found a passion beyond what they do for work – and that passion becomes contagious to others around them. How do you personally encourage and inspire women you work with to go after their dreams in this male-dominated arena? I am fortunate to be able to travel the globe and over the past 9 years. I have given over 200 keynotes, across 5 continents and in front of close to 300,000 people. Gartner has provided me a tremendous platform which I take very seriously. As one of the only women at many of the events I speak at – in front of audiences which are predominately men – it is an interesting perspective for me to have. There are times where I might actually be the only woman in the room – or on stage speaking – and depending on which part of the world I am in, it creates a very interesting dynamic and response from those in attendance. I hope that when I am at those events, and there are women in the audience, they feel I represent them well. I often hear from many after they hear me speak or read something I write, and it lets me know that at least on some level I have inspired them. I believe that when you learn you should teach, when you get you should give and you should always pay it forward. 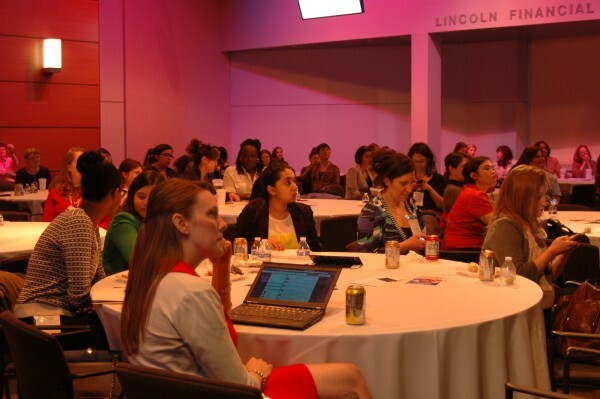 What do you hope women will take away from the WITI summit? That anything is possible if you believe in yourself and have a passion for what you do. What’s the best piece of advice you’d give to young women looking to make it in the tech world? Have fun. Remember to always have a sense of humor, don’t take yourself or what you are doing so seriously that it affects other areas of your life, and always love what you do. Finally, what makes you a powerful women? Funny you should ask that question – I was given “The Most Powerful Women” Award from the California Diversity Counsel in 2014 and I asked them the same thing. I actually like the word ‘influence’ better than power – as many negative aspects of the word power aren’t good for women in business. I believe if you are able to influence people in a positive way which results in them bettering their life or situation then you have been able to make a meaningful difference. And I feel that is real power. Lastly – Build a strong network to support you and your career – empower those around you to succeed – inspire others to do what they don’t think they are capable of doing. And because I am from Hawaii…I like to say make sure you “Live Aloha” every day. 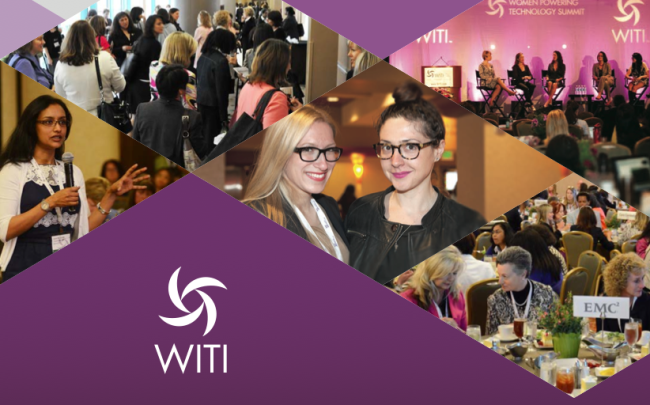 To register for the WITI Summit and to find out more info on the speakers, click on the website here.